Convenience, for one thing: From the U.S. and Canada, you can drive to Mexico—in your own car—or fly there in a few hours, in most cases. 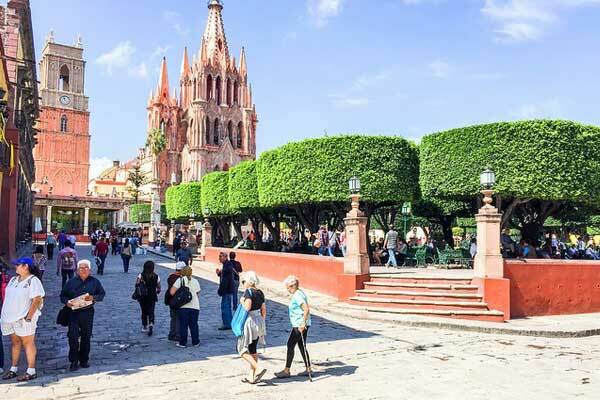 Mexico offers many of the First-World conveniences we’re used to—including good highways, plenty of airports, reliable telephone service, and fast internet connections. 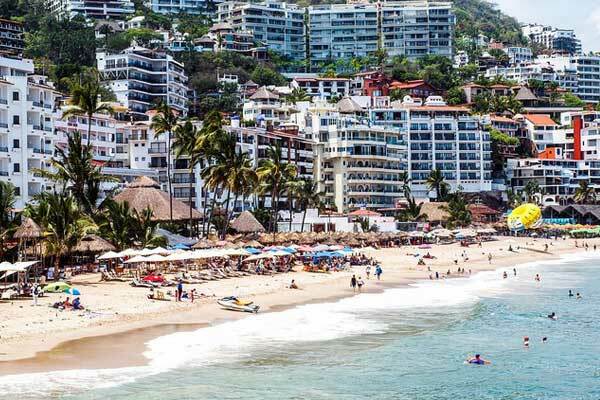 Mexico’s lower cost of living means a comfortable, fulfilling life here will likely cost you a fraction of what you pay “back home.” As much as 50% below what you’d pay in the rest of North America. 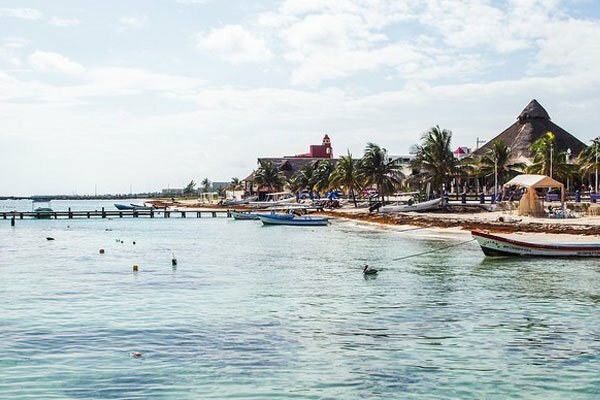 And then there are all those enticing differences that make Mexico so special: the vibrant local culture and rich history; the friendly people and their relaxed lifestyle; the sunny climate; the delicious food and drink; the miles (nearly 6,000) of coastline, much of it warm, sandy beach. You’ll also enjoy a slower, more relaxed pace of life here, where children still play in the streets and neighbors know each other. And thanks to Mexico’s large size and varied geography, those moving here have so many choices…little silver-mining towns where the winding streets seem to head up to the clouds…fishing villages where you can rise at dawn to buy the day’s catch fresh from returning fishermen…beach towns where the sound of surf and the tang of salt water linger in the air… and cosmopolitan cities. Remember that time you fell in love with the “perfect” person? And the times you found the perfect job and the perfect house in the perfect neighborhood? I’m guessing, if you’re like most folks, many of those perfect situations didn’t endure the passage of time. Relationships, jobs, and housing are only a few of the many things requiring compromise in our lives as perfection doesn’t exist. The truth is that regardless of how much expats brag about their lives in their chosen, overseas destination, no country is perfect. Every country has pros and cons and Mexico is no exception. Here are a few of the pros and cons I’ve discovered while living in Mexico. Pros: Mexico is a huge country that is normally sunny throughout. It has a varied climate and it is this variety of climate that offers something for everyone. The coasts, bathed by the Caribbean Sea on the east, the Gulf of Mexico north of the Yucatan Peninsula and the Pacific Ocean on the west, are all tropical climates. Warm tropical air, laden with humidity is the norm in those areas while higher elevations in the interior of the country are much cooler. In fact, Mexico City sitting at about 7,500 feet in the Sierra Madre, is often surrounded by snow-capped mountains during the winter months. Lake Chapala (just outside Guadalajara), brags that it has the best weather in the world with ample sunshine, average temps around 77 F, and rain falling mostly at night. Cons: If you live on any of Mexico’s Coasts, it is possible to find yourself in the path of a large, incoming storm that has been given a human name. Hurricanes. They do happen in Mexico, but here’s the deal. Hurricanes are the only natural disaster that provide a week’s notice. You have plenty of time to prepare and/or leave the impact area if necessary as forecasting is quite accurate, these days. Since 1955, Mexico has been impacted by 12 named storms. That’s one storm every 4.3 years and that includes storms that make landfall on the Caribbean Coast and the Pacific Coast. That’s a lot of coastline. The odds are you’ll never experience a hurricane if you live in Mexico, but some will. Oh, and I can’t forget about sunburn. Excessive exposure to tropical sun can be rough on skin. I’ve found that I need to moderate my beach-cruising time during spring break. Be sure to use ample sun screen and practice applying sun screen with one hand while holding a chilled Margarita with the other. Pros: A well-known strategy for making the most of living in Mexico is to earn dollars and spend pesos. A long-time, advantageous exchange rate adds additional value to an already favorable economy. That means that those with an income originating in the U.S. such as retirement income or a computer-based revenue stream will do well in Mexico’s economy. Costs for nearly everything are lower in Mexico. Medical care is one example with costs hovering around one third to one half the cost of similar care north of the border. And the quality of care is excellent in all major cities. Dental care is another area where you can expect to pay around one third the cost in the States. Food, housing, property taxes, and utilities are silly-cheap. My electric bill for a 1,600-square-foot beach front condo (air conditioned) rarely breaks $40 monthly. Housing costs vary wildly depending on proximity to a coastline and the community. That said, you can live a very comfortable life for around $1,500 monthly (more or less) nearly everywhere. While the U.S. press regularly reports on violence in Mexico, the truth is that crime statistics in Mexico almost exactly mirror crime in the U.S. Anyone paying attention knows that Mexico’s most dangerous and violent crimes are related to organized criminal activities such as selling and distributing drugs. Like all business efforts, the sale of drugs in Mexico is competitive, especially in tourist areas. Disputes between rival drug dealers are often settled by very visible displays involving guns. One bad guy protects his territory by eliminating the competition. I mean, drug dealers can’t take each other to court, to settle territorial disputes…right? So stay out of the drug business and chances are, you’ll be perfectly safe living in Mexico. 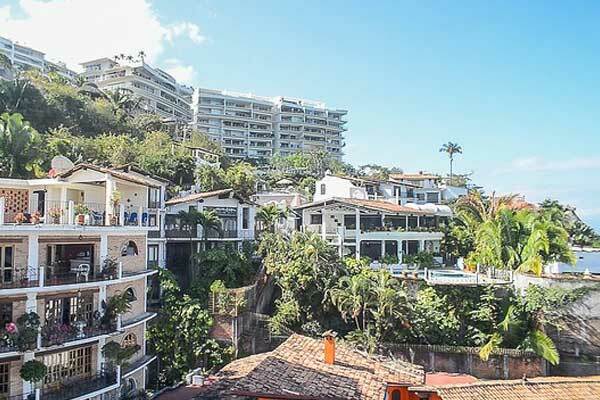 Pros: Aside from typical tourist crimes targeting those who’ve consumed too many Margaritas, and a few real estate deals gone wrong because the buyer didn’t want to hire a lawyer or accountant for representation, living in Mexico is safe. We regularly drive our Jeep throughout the Yucatan Peninsula and have never encountered any serious crime. We walk the streets, at night, in cities, towns, and villages without fear. And the occasional traffic stop can often be settled alongside the roadway, with the transference of a few dollars. It’s an effective system and while some suggest that taking this effective shortcut encourages such shenanigans, it’s a quick and inexpensive way to handle such things. Cons: Local roads in nearly all towns and cities are encumbered by large speed bumps called topes (toe pays) that are suspension killers and can even damage tires. They are often difficult to see, especially at night. Two-way streets can become one-way streets at unmarked intersections so you must pay close attention. It’s always best to travel during daylight hours, just in case of a mechanical problem along the way. Better safe than sorry. Pros: Without question, Mexico offers exceptional, professional, and affordable medical care. Residents can choose between two national care plans which are either completely free or almost completely free depending on your situation. Many doctors speak English as their second language, especially in large cities. Pharmaceuticals do not require a doctor’s prescription, except narcotics and a few strong antibiotics. Simply walk into the pharmacy and tell them what you need. And the cost is literally pennies on the dollar compared to U.S. prices. Typical doctor visits can range from $15-$40 depending on the specialty area. With costs so low, many simply pay out-of-pocket. Cons: While hospitals provide excellent results and most have modern, updated equipment, nursing care is not up to the standards we see in U.S. hospitals. Rooms can be shared, and family members are expected, in most cases, to provide meals and incidental care to patients as nurses are scarce. Pros: Mexico’s proximity to the U.S. is, perhaps, the greatest benefit. Much of the U.S. is accessible in under two hours from major international airports. And for those so inclined, one can simply drive across the border. Cons: Even your crazy uncle and cantankerous mother-in-law will want to visit you in this wonderful land of Aztec and Maya ruins, bright sun, tropical beaches, ample tequila, warm water, and world-class food. And if you don’t want them staying with you, hotels are cheap. Pros: Expats are typically an active bunch, rarely found sitting home in the rocking chair. Mexico offers a huge menu of activities to keep expats healthy and entertained. 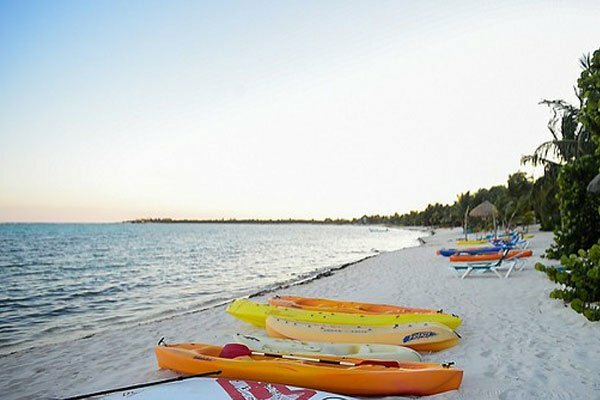 With easy access to the Gulf of Mexico, the Pacific Ocean, and the famed Riviera Maya on the Caribbean Sea, beach lovers can soak up the sun and play in the surf on some of the world’s best beaches. Mexico’s snorkeling, swimming, boating, and diving and fishing offer the best of the best locations on the planet. Then there’s exploring. The Yucatan Peninsula is filled with sunken, water-filled caves called cenotes (say-note-tays) where you can swim among stalactites and stalagmites one million years old. Or share a meal with a Maya family, visit ancient ruins or stroll through stunning colonial cities such as Merida or Valladolid. Becoming bored is impossible. Cons: Mexico offers so much to do that you’ll have difficulty choosing. Simply keeping up with great restaurants can be taxing and will require dedication. Oh, and you might wind up gaining a few pounds. Just saying…! 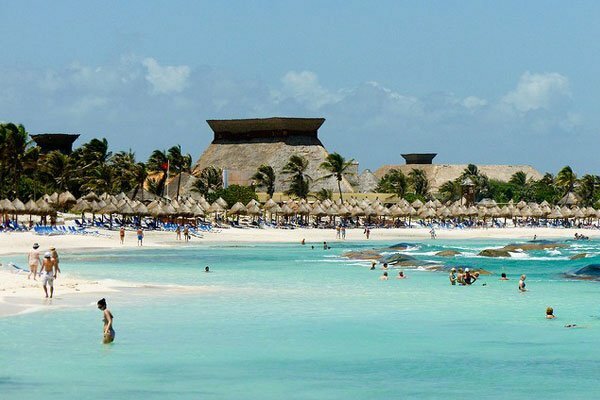 Read More : Is It Safe to Travel in Mexico? Where can I live my dream by the beach? Read More : Where can I live my dream by the beach? Read More : My Life in Mexico Costs a Fraction of What it Would in U.S.
For many, the dream of someday retiring to their own home on a tropical island is just that; a dream. But for former Canadians, Lawrie and Lynda Lock, others’ dreams are their affordable reality.